Fund games on Indiegogo at your own risk. If you plan on backing a game with PayPal on Indiegogo or any other crowdfunding site, be advised that the online payment service won't have your back if the project takes a wrong turn and fails to deliver on any promises made. PayPal sent an email to registered users announcing plans to end Purchase Protection coverage for "payments on crowdfunding platforms." In addition, it's ending protection for "anything purchased from or an amount paid to a government agency" as well as "gambling, gaming and/or any other activity with an entry fee and a prize." The policy update goes into effect on June 25, 2016. 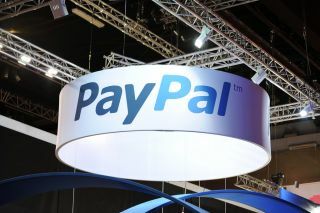 It's not clear what exactly prompted PayPal's change in terms, whether it was a past incident (or incidents) or if it's simply looking to avoid being in the middle of crowdfunding disputes. In a study posted on Kickstarter's own website, it was revealed that 9 percent of of Kickstarter projects fail to deliver rewards. The study also stated that 8 percent of dollars pledged went to failed projects, and that 7 percent of backers failed to receive their chosen reward. "Project backers should expect a failure rate of around 1 in 10 projects, and to receive a refund 13 percent of the time," Professor Ethan Mollick from the Wharton School of the University of Pennsylvania commented about the study. "Since failure can happen to anyone, creators need to consider, and plan for, the ways in which they will work with backers in the event a project fails, keeping lines of communication open and explaining how the money was spent." Professor Mollick also said there doesn't appear to be a systematic problem of failure associated with Kickstarter as "the vast majority of projects do seem to deliver." Nevertheless, PayPal doesn't seem interested in assuming any risk associated with crowdfunded projects, even if the stats appear less risky on sites that feature PayPal integration (Kickstarter does not). Despite the change in policy, the appeal of crowdfunding at large is likely to remain strong. It's becoming popular in gaming over the past several years, and while there have been some failures, there have also been some pretty big successes, such as the Oculus Rift.